It is the lives of figures like Dubnow that animate The Stakes of History: The Uses and Abuses of Jewish History for Life, David N. Myers’ extended meditation on the civic and communal responsibilities of the Jewish historian. Myers, a professor of modern Jewish intellectual history at UCLA, first conceived of the book’s content in 2014, when he delivered the Franz Rosenzweig Lectures in Jewish Theology and History at Yale. The Yale Press has published five books based on Rosenzweig lecture since the first in 1987, and like many of the volumes in Yale’s Rosenzweig series, The Stakes of History is a slim essay, barely exceeding a hundred pages. Reading it, one can easily imagine the book’s textual infancy as a series of lectures; Myers’ prose has the kind of hurried directness that bears the flavor of delivered speech. The Stakes of History is an argument for the relevance of Jewish history to contemporary Jewish politics, and Myers insists on an activist role for the Jewish historian. As suggested by the book’s subtitle, an allusion to Friedrich Nietzsche’s 1874 essay, Jewish history, as with any branch of scholarship, can be used or abused. Acknowledging the dangers posed by “distorting or falsifying history even in the name of a noble ideal, Myers nonetheless comes out strongly in favor of the active use of history; the benefits of the effective deployment of Jewish history outweigh the risks entailed by its potential abuse. His proof lies in the history of Jewish historiography, populated by figures whose scholarship was inseparable from worldly concerns about politics and communal governance. This claim is built on an examination of the work of foundational Jewish historians who embraced the strategic employment of history for political or social purposes, among them Dubnow, Heinrich Greitz, and Salo Baron. But this examination is never wholly dispassionate. Myers has skin in the game. His argument for the utility of history is constructed in imagined dialogue with his late teacher Yosef Yerushalmi, the dean of American historians of the Sephardim, whose very own Rosenzweig Lectures on Freud were published by Yale in 1993. In his 1982 book Zakhor, Yerushalmi insisted that Jewish history “can never substitute for Jewish memory.” The power of myth and memory, rather than the discipline of academic history, would form the basis for the identity of modern Jewry. In Yerushalmi’s view, Jewish memory and Jewish historiography had been separated, perhaps irrevocably, a consequence of the unique tribulations and transformations of the modern period. 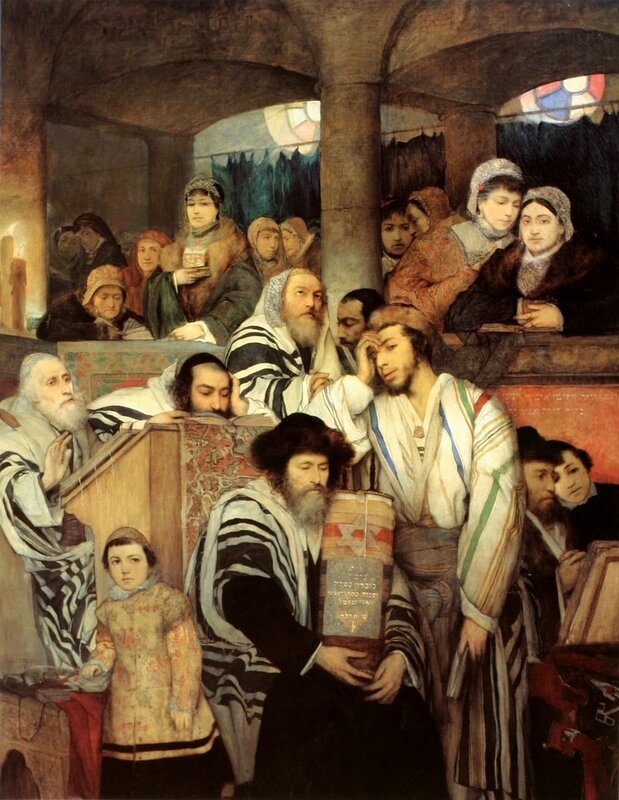 In the wake of the nineteenth century’s massive disruptions to traditional life, as well as the epochal events of the Holocaust and the foundation of the State of Israel, Jewish memory, Yerushalmi insisted, “cannot not be healed unless the group itself finds healing: unless its wholeness is restored or rejuvenated.” Communal reckoning, rather than the intervention of the activist historian, was necessary for modern Jewry to identify the cure for its pervasive sense of crisis and fragmentation. The first thematic posture, “history as liberation,” focuses on the development of the nineteenth-century German-Jewish scholarly faction known as Wissenschaft des Judentums, a movement that revolutionized the study of the Jewish past. Wissenschaft—a dominant term in the broader universe of nineteenth century German scholarship—translates roughly to science, and its scientist adherents emphasized the systematic reformation of their disciplines along rational standards. The proponents of Wissenschaft in the realm of Jewish studies—among them the great Heinrich Graetz, the author of the first truly comprehensive history of the Jews—promised the fulfillment of the Haskalah, or Jewish Enlightenment: through history, the Jews would achieve a kind of “self-liberation” from centuries of Talmudic obscurantism and provincialism, one that would “discard what was moribund in favor of what was vital.” Wissenschaft’s concerns for progressive cultural revival, a matter internal to the Jewish people, would have significant implications for German Jews’ engagement in politics. With emancipation on the horizon, history was “mobilized” by Jewish activists to prove the patriotism and indigenousness of Jewish Germans. A new secular, scientific history gave assimilation-minded Jews ownership over their communal image—or so, at least, was the promise of the new Wissenschaft movement. “History as Consolation,” Myers’ second and shortest chapter, sharply changes tone. In it Myers addresses Jewish historians’ attempts to chronicle past tragedies and process communal grief. For their heavy emphasis on the disasters suffered by the Jewish people in the ancién regime, a whole school of Jewish historical scholars were derided by the 20th century historian Saul Baron as presenting an overly “lachrymose theory” of Jewish history before 1789. But Myers is more sympathetic. Histories of past Jewish suffering, he notes, have the strange effect of compounding communal belief in eventual deliverance, highlighting “a record of endurance that reduced even the most secular of historians to mystics.” The “law of survival,” a seeming rule of history referenced by Jewish historians throughout the violent pogroms of 1911, affected even the skeptical Simon Dubnow, who wrote an essay declaiming the law as a core fact of Jewish history. Even a history of misery could, paradoxically, serve to console. Memory and emotions do not seem to be bothered by contradiction. An example: the one Yiddish song to retain nearly universal popularity after the Holocaust, Oyfn Pripetshik, negotiates this paradox, instructing its audience to “find strength” in the history-laden letters of the Hebrew alphabet, even as it brings them to tears. Consolation need not be joyous. But Myers’ interest in consolation is limited, and the book soon returns to a more focused, anecdote-driven analysis of the historian’s political and social task. This third chapter discusses the roles of the historian as witness. On the one hand, the historian can be a literal witness to historical events. The in extremis cases of Dubnow and other martyred historians, as well as that of Victor Klemperer, a German mischling whose painstaking diaries chronicle his persecution by Nazis during house arrest, are perhaps the most striking examples of the historian fulfilling this role. As an interpreter of the past, the historian can also serve as a witness in the formal legal sense of the word, and Myers addresses the crucial role played by Jewish historians in major twentieth century trials. At the request of the prosecution, the Galician-American historian Sola Wittmayer Baron testified at the Eichmann trial in 1961. His account of the devastation wrought by the Nazis in Vilna become evidence in the general indictment. Jewish historians played an active part in the defense during Deborah Lipstadt’s 1996 libel trial, which resulted in the final discrediting of the British Holocaust denier David Irving. Mentioned here, as well, is the 1927 trial of Sholom Schwartzbard, held in Paris, in which the Jewish assassin of Ukrainian nationalist Symon Petliura was acquitted on the grounds that Petliura was responsible for the pogrom that had killed Schwartzbard’s family. His defense team consisted of historians as well as lawyers, the details of the 1919 Proskurov Pogrom lain before the courtroom as evidence. To lament the destruction of European Jewry because of its excellence, rather than its humanity, was for Arendt a base perversity. This serious charge did not go unnoticed by the Barons. After Eichmann in Jerusalem became a bestseller, the dispute escalated, culminating in a series of hostile letters between Arendt and Baron’s wife Jeanette. (The Barons and Arendt later reconciled, though the extent to which their relationship recovered is still hotly contested.) Given the acrimony and melodrama of the Arendt-Baron dispute, it is surprising that Myers passes over this aspect of the history, acknowledging only in passing the validity of Hannah Arendt’s accusation; he concedes that Baron’s actions in Jerusalem could be justly construed as an “abuse of history for the purposes of a theatrical show trials.” We conclude the chapter knowing full well that Myers is in favor of using history as testimony, but, by not further engaging with one of the more potent critiques of the Baron testimony, the paradigmatic instance of the historian-as-witness, his case stands on less-than-firm ground. The culmination of Myers’ essay, its concluding chapter, outlines the writer’s proposal for a contemporary use of history for Jewish life. Myers’ application is what he calls “history as reconciliation”: in this case between Jews and Arabs in Israel-Palestine. The concluding section is devoted almost entirely to the conflict. Myers believes in the potential for historians to “effect positive social change” among Palestinians and Israelis, and is particularly invested in teaching the histories of Zionism and Palestinian nationalism with “a mix of critical distance and empathy.” But beyond the benefits to civil society of such an educational program, Myers even goes so far as to suggest that the past may provide concrete political answers in the present, allowing all parties to “discover various versions of a single state between the Jordan and the Mediterranean” should the two-state solution collapse. Even if such a discovery is unlikely, Myers argues, the past remains “an open archive,” waiting for historians’ active and socially productive use. Historians have, in fact, pre-empted Myers’ suggestion, using this “open archive” to propose iterations of a one-state binational solution, similar to the policy endorsed by Martin Buber some seven decades ago. In the past three decades, the one-state solutions proposed by historians Ian Lustick and Tony Judt have been the source of significant public interest. Though not groundbreaking, Myers’ ultimate suggestion is far from chimerical; there is real precedent for the kind of productive use for which he advocates. At its core, Myers’ essay is a defense of scholarly subjectivity and activism: of the invested, passionate Jewish historian, one who is capable of bridging the gap between history and memory, of keeping an “eye on the future,” and of using the power of historical narrative to shape communal action. This is the message of The Stakes of History, the life-moral to be derived from the exempla of Dubnow, Graetz, and Baron. And yet Myers ultimately disappoints by leaving us without a full sense of what his own version of that narrative is. His book provides the reader with a highly readable account of the history of Jewish historiography; his chapters are thoroughly researched and deserve careful examination. He writes with considerable urgency, as if his analysis were going to culminate with a comprehensive vision for the task of today’s Jewish historian, with an articulation of a new paradigm for understanding Jewish history. But we never get there. Apart from the final chapter’s suggestion that historians play a role in reconciliation between Israel and Palestine—even then acknowledging rather hopelessly that “there is little [from the past] worthy of revival in the present”—The Stakes of History concludes without actually delineating what the stakes of history for contemporary Jewish life are. Yes, history, both as an academic discipline and as a tool of communal reckoning, has long been important for the Jewish people. It remains important now, as Myers claims repeatedly. Was this point ever truly in dispute? Yosef Yerushalmi, whose resistance to the “use” of history inspired Myers’ essay in the first place, himself never entirely rejected the notion that history should inform contemporary concerns, approving of history’s role as “a midrash of hope.” The more interesting, even essential, question is not whether Jewish history has stakes; it is about what exactly those stakes are in the present moment. Beyond the (unlikely) prospect of a new approach to the Israel-Palestine crisis born out of efforts by Jewish historians, Myers does not have a comprehensive answer to this question. This is by no means to say that The Stakes of History makes no intellectual contribution. In his insistence that Jewish historians of the Jews embrace their subjectivity and status as Jews, Myers lays the groundwork for a Jewish identity politics—an interesting and perhaps politically significant development. The notion that one’s identity—whether sexuality, race, or gender—shapes one’s thought and actions has become a core component of twenty-first century progressivism. Whether or not this kind of identity politics deserves the support of the political Left, let alone the broader public, remains an open and very interesting question. But if identity politics is to be the framework through which academics and others engage with the world, why should the case be any different for Jews? It would seem unfair in such a climate to deny the possibility of a Jewish version of this identity politics. It is in this regard, then, that The Stakes of History is most politically interesting, and I believe it is in this area that the book is most likely to retain influence as a text: that is, as a statement of an embryonic Jewish identity politics. When arguing for the importance of Jewish historians’ contributions to the Israel-Palestine peace process, Myers explicitly defends his “identitarian investment” in the object of his research. He writes his history as “a believing, practicing, politically progressive Jew”: an appositive that, ultimately, denotes what is at stake for him in the telling of Jewish history. Myers’ status is influenced by “environmental, temperamental, and ideological factors”; each empty page on which he writes begins its life as “no blank canvas.” This is the programmatic language of modern identity politics. No matter what we may think of it, Myers’ identitarian turn raises compelling, even urgent, questions. What might a Jewish version of contemporary progressive identity politics look like? The Stakes of the History seems to be part of the answer. What other stakes might be out there? Moving beyond Myers’ “identitarian” interest in Israel-Palestine, I propose a different use for Jewish history. The neoconservative pronouncement of the “end of history” has by now become meme fodder. The election of Donald Trump, the resurgence of racist nationalism in Europe, the growing power of amoral techno-corporatism, the Chinese and Russian challenges to liberal democracy: these worrying trends should be enough to convince anyone that the present political order is anything but settled. History is not over. Nor have the fundamental political crises of the last century been resolved. Far from it. Questions of state structure and civil rights, of population and border control, of race and religion, remain intensely, even violently, divisive. It is in the realm of these questions—the urgent theoretical and political problems of citizenship and borders, of immigration and race—that historians of the Jews bear a unique responsibility. Until the very recent past, the history of the Jewish people has been one of continuous confrontation with the state. The legal and civic status of the Jews, a diaspora population entirely at the mercy of their majority hosts, posed a fundamental challenge to all forms of government and state structures: to the medieval Christian and Islamic states, to the confessional and absolutist states of the Early Modern period, to the republics and constitutional monarchies of the eighteenth and nineteenth centuries, and, most tragically, to the racial dictatorships of the twentieth century. This tortuous history of Jewish emancipation and disenfranchisement, in its successes and reversals, runs parallel to the development of the modern regime and its attendant ideologies. Locke’s liberalism came into its own in part around the rejection of religious tests for public office, including those applied to Jews. The emancipation of the Jews was, in revolutionary France, the paradigmatic example of a successful transition from the corporate feudal society of the Ancien Régime to the enlightened liberalism of the Republic. The Nuremberg Laws denied Jews the citizenship they had fought to receive upon German unification in 1871; the “Jewish Question,” never at any point asked aloud, was one of the Jews’ particular legal status vis-à-vis. the state. Today’s Jewish historians must bring to light this history of enfranchisement and subsequent dispossession, too often forgotten in the aftermath of the establishment of the state of Israel and the seeming acculturation of American Jewry. The world must understand that the problems of status and citizenship that confound the present political order—the crisis of nations and borders, recursions to ethnic and racial chauvinism, mass deportations and ethnic cleansing—are but the current installment in a process that has been underway for centuries, affecting numerous groups and peoples. Jewish history, studied properly, affirms this truth—and shows how others contended with a similar reality. More than consolation, liberation from ignorance, or reconciliation, as Myers ultimately proposes, the use of Jewish history in the present may be to prepare its student for a life of struggle, reversal, and further struggle: history as perpetual contention, history as cyclical revolution.